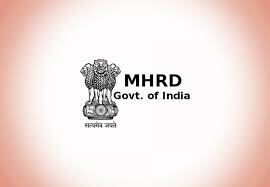 NEW DELHI, FEBRUARY 7: The Union Ministry of Human Resource Development (MHRD) is planning to file a review petition in the Supreme Court against its January 22 order on faculty quota in Higher Education Institutions (HEIs). The apex court, on January 22, upheld the Allahabad High Court order and ruled that that reservation in university faculty positions should be calculated department-wise, instead of taking the whole university as a unit. There was a general feeling of under representation or decline of representation of the Scheduled Caste (SC) and Scheduled Tribe (ST) as a result of the Supreme Court order. Therefore, academics demanded the Central Government to step in and file a review petition in the Court. HRD Minister Prakash Javadekar has announced that the Government will be filing a review petition with the Supreme Court. He added that earlier, universities were treated as a unit for reservation which was the right thing and the SC/ST/OBC were treated in a just manner.